Bobby Darin was like quicksilver.. think you have him typed, have him pigeonholed? Don’t look now, but he’s morphed into something else. The Kevin Spacey biopic Beyond the Sea has focused the spotlight again on the man who hoped to become a legend in his own time. Perhaps it has taken these many years since his death to put his talents into perspective. Like looking at a painting. Up close, you see the brush marks. Stand at a distance and you focus on the beauty and the totality of the picture. Maybe. 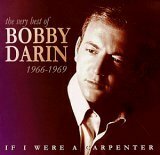 This is not the definitive profile of Bobby Darin. It seems likely that a definitive profile never could be written. 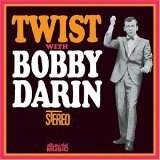 Bobby Darin represented different things to different people. What we can do is give you a glimpse of this multi-faceted, driven man from New York City, and a glimpse of the impact he had on the entertainment world in his short lifetime. 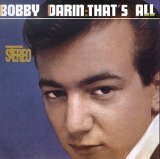 Bobby Darin could do it all. Write songs. Like Simple Song of Freedom, Things (“like a walk in the park… like a kiss in the dark”), You’re the Reason I’m Livin’, Early in the Morning, Queen of the Hop, Dream Lover and dozens more, covering many different genres. So many hits have his name on them, that he was (finally) inducted into the Songwriters’s Hall of Fame, in 1999. Act. He was nominated for an Oscar for his part in the film Captain Newman, M.D., won a Golden Globe for Come September and won critical acclaim for his role as “The Patient” in Pressure Point with Sydney Poitier. Entertain. Sammy Davis, Jr. is quoted as saying that Darin was the only man he would never want to follow onto a stage. High praise. He did spot-on impressions of Jimmy Durante, James Cagney, Jimmy Stewart, Flip Wilson, Dean Martin and Jerry Lewis, and Groucho Marx, among others. He played piano, guitar, harmonica, drums, and played them well. He was a talented comedian and a good dancer. His voice turns up in commercials, on movie soundtracks, on cell phone ringtones. Other artists have covered his tunes, from Barbra Streisand doing Splish Splash (on her album Wet) to Sesame Street’s Elmo (on Splish Splash: Bath Time Fun). He was so strongly identified with Mack, the Knife that it was years after Darin’s death before Frank Sinatra added it to his repetoire. And he added a verse that mentioned Bobby’s name. Many say that Bobby Darin was defined by an acute awareness that he was going to die young. He wasn’t supposed to have a second act. Sickly as a infant, battered by rheumatic fever four times before he was a teenager, Walden Robert Cassotto would be lucky to see his 15th birthday, a doctor said. A death sentence can be hard to disregard, especially when overheard by the young boy, himself. He would spend the next three decades trying to beat the odds. And early in his life, those odds would appear to be almost insurmountable. He was born early on the morning of May 14, 1936, in New York’s Bellevue Hospital. His mother was an unmarried teenager named Nina Cassotto. She left the father’s name blank on the birth certificate, later telling Bobby’s first biographer, Al DiOrio, that Bobby’s father never knew that she was pregnant. She never told Bobby his father’s name, either. In fact, Bobby grew up, in the South Bronx, thinking that Nina was his older sister, that his grandmother, Polly, was his mother, and that his father was Sam Cassotto, who had died in prison before he was born. He was almost 32 when she finally told him the truth about their relationship. Polly had been a Vaudeville performer in her youth and is given credit for nurturing Bobby’s talent and fueling his love for the music and talents of performers like Durante and Sinatra. Nina and the man she soon married, Charlie Maffia, also doted on Bobby. The family called him “The King” and he grew up knowing that he ruled their hearts. Bobby made it to age 15, and by then was playing in a band at Bronx Science High School. The band performed during summer vacations at a resort in the Catskills, with Bobby as drummer. But his original goal was to become an actor and after high school, he attended Hunter College for a semester, before deciding to try to make it on his own. In what would prove to be a defining moment for him, Darin took a job with a children’s theater, met and fell in love with a dancer who broke his heart. He torched for a while, saying that the experience taught him the meaning of the words he was singing. Soon after, Darin started writing songs and commercial jingles for radio, hooking up with one Don Kirshner. The two peddled their material to George Scheck, the man who was managing Connie Francis, among others. Scheck liked what he heard and kept them writing. But Bobby wanted to be a performer. One day, Scheck sent Darin and Kirshner up to get a girl singer to cut a demo of one of their songs. But this time, Bobby sang the demo. Scheck heard it, liked it and got The Kid a contact with Decca Records. Bobby’s records made no splash (pun intended) on the charts, and soon Decca released him from the contract. He also lost Scheck as a manager. He and Connie Francis had fallen in love. Connie’s father disapproved and told Scheck that he either drop Bobby, or he could kiss Connie goodbye. Bobby took things into his own hands, making a recording on his own of an old tune Million Dollar Baby and taking it to Atlantic Records. It was good enough for Atlantic’s Atco division to sign him and release the single. But his early days at Atco were a repeat of the Decca experience.. songs released, little success, and Bobby was within days of being cut by the label. His last chance was a recording session in April, 1958 with Atlantic’s Ahmet Ertegun. They needed a hit or Bobby was gone. And he knew it. Darin caught a break from the mother of his friend, WINS radio disc jockey Murray Kaufman. Murray the “K” mother Jean wrote songs. She happened to call one night with an idea for a title: Splish Splash, Take a Bath. Darin and Kaufman laughed at that.. then Bobby sat down and within hours, had written the song that would be his first hit, launching his career as a Rock ’n Roll star. Splish Splash was soon followed by Early in the Morning and another Darin composition Queen of the Hop. Atlantic had three hits in a row, and the Darin rocket was off the launchpad at last. But, while rock was a way of getting his foot in the door, Darin had bigger plans.. to sing the music that he and Polly loved, The Great American Songbook. So while, Atlantic was campaigning for Bobby to do an album, along the lines of Fats Domino’s work, his good friend/publicist Harriet “Hesh” Wasser thought this was the time to make that sharp turn in his career and do an album of standards. Hesh introduced Bobby to Richard Wess, who arranged and conducted the That’s All album, the one that included Darin’s only number one hit, his signature song, Mack the Knife. The success of That’s All, would be bittersweet. Before the album was released, Polly suffered a stroke and died before Darin could reach her bedside. He was devastated at her death. Darin placed a copy of the acetate of the album in her coffin. Mack, the Knife won the Grammy Award for Record of the Year. Darin won for Best New Artist of the Year. And It was after the Grammy Awards Ceremony that Darin’s legendary confidence seemed to have tripped him up. “seemed to have”, since there is some disagreement about what happened, even among those who were there. UPI reporter Vernon Scott claimed to have asked Bobby how it felt to match Frank Sinatra, the only other artist to win two Grammys that night. Darin claimed that he told Scott that he had no desire to match Sinatra in anything, that he just wanted to be the best Bobby Darin he could be. What Scott wrote was that Bobby had said that he hoped to surpass Sinatra in everything Frank had ever done. Sinatra reportedly didn’t like that, photographed later with Dean Martin, the two of them using a photo of Darin as a dartboard. Darin’s manager, Steve Blauner, says he did get the two men together to try to clear things up, and that Sinatra wanted Darin to join him on his Reprise Records label. And Darin was close to Frank’s daughter, Nancy and her then-husband Tommy Sands. But it may be telling that when Bobby had a chance to play the part of the kid in the 1963 movie Come Blow Your Horn opposite Sinatra, the part, instead, went to Tony Bill. 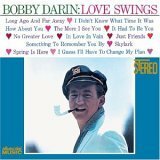 Will Success Spoil Bobby Darin? 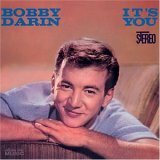 December, 1959 brought an appearance on This is Your Life for Bobby Darin, a scant two years after he had hit the big time and three years after his first Decca single had been released. He was soon to turn 24 and told reporter Shana Alexander, in an interview published in the January, 1960 issue of Life magazine, that his goal was “to establish myself as a legend by the time I’m 25”. Bobby Darin didn’t think he was going to live to be 30. Darin’s life continued to move at a rapid pace over the next few years. He made movies, starred in his own TV special, fell in love with, pursued and married Sandra Dee. The two would star in several films together, produce a son, Dodd Mitchell Darin, and break up and re-unite so often that when friends would call, one of the first questions would be whether the couple was together or apart. He kept cranking out the hits for ATCO, including Artificial Flowers, Lazy River and Clementine. Things was one of the last songs Bobby recorded under for ATCO before jumping to Capitol Records in 1962. His first release for his new label was an album of standards titled, Oh! Look at Me Now. A Bobby Darin performance wasn’t all about his singing. He was a dynamic and fascinating performer. Atlantic Records engineer Tom Dowd, the man responsible for the gurgling water at the start of Splish Splash, says, in an interview found on the Bobby Darin: I Want to be a Legend DVD, that Bobby didn’t just go out on stage and sing, that he “went to school”, that he learned how to use his hands and his body and how to communicate with an audience. The implication is that he learned by watching other performers, like Sammy Davis, Jr. and George Burns. Burns would be a huge influence on Darin from the time they met in 1958. It was Steve Blauner’s brainstorm. Burns was going to Las Vegas, to do his first nightclub act, in years, without wife Gracie Allen. Blauner figured, who better to open for Burns, than Darin? He got the two of them together and Burns and Darin formed a bond that would last for the rest of Bobby’s life. He always referred to Burns as Mr. Burns and told others that Burns was more than a father to him. By 1963, the nightclub circuit was taking its toll on Darin’s health and on his marriage. Darin would retire from live performing for a few years, re-inventing himself, yet again, this time as a music publisher and finder of new talent. He had bought the company that owned the copyrights to his songs and began supervising a stable of songwriters that would include Terry Melcher, Artie Resnick and Rudy Clark. Darin also discovered and recorded artists like Wayne Newton, giving Newton a song that had been slated for Darin himself, the Bert Kaempfert tune, Danke Schoen. Darin again began moving in a new direction, in his life, and in his music. His social life picked up, and he recorded what would be his last big hit, the Tim Hardin song, If I Were a Carpenter. He also stepped up his involvement in politics. Darin had been active in Civil Rights marches thruout the decade of the 60’s. But in 1967, he became enamoured of Robert Kennedy, the man and what he stood for. Darin even entertained seriously the idea of running for office himself. This news worried Nina. What if some muck-raking reporter dredged up the family secrets? Other people knew that she was Bobby’s mother, even if Bobby didn’ So early in 1968, Nina and her oldest daughter went to see Bobby where he was performing in New Jersey. She told him that she was not his sister, she was his mother. She refused to tell him who his father was. Nina would later tell interviewers that Bobby was in total shock. Other family members say he never forgave her for keeping the secret from him all those years. Friends say that the information rocked his fundamental beliefs about himself, and that he never recovered from the blow. A few months later, Robert Kennedy was assassinated in California and the death sent Darin reeling. Over the next few months, he gave away most of his possessions, rented a trailer in Big Sur, on the California Coast, and retreated from the world he had known. Darin would still emerge to perform occasionally, but now he dressed in jeans, took off his toupee and grew a little mustache. 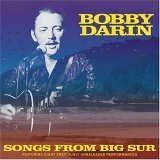 He billed himself as Bob Darin, not Bobby, and wrote and sang songs like Simple Song of Freedom and Long-Line Rider. Fans were confused. They were expecting to see Mack, The Knife. They weren’t happy with the new Darin and he wasn’t happy that they wouldn’t let him grow. Soon broke, after a failed attempt at film-making, his heart going out of rhythm more frequently, and in need of serious medical care, Darin returned to Las Vegas, with the help of friends like Wayne Newton. Darin reasoned that people hear what they see. So he decided that he would dress the way the audience thought he should, in tuxedo and toupee, but he would play his own kind of music. It worked. Once again, he was able to pull in the crowds. In early 1971, Darin’s heart valves had weakened to the point where surgery was an absolute necessity. Darin finished an engagement in Las Vegas and then went into the hospital. For awhile, after the surgery, he felt better than he had in years. But the good health didn’t last long enough. summer replacement series for The Dean Martin Show. The series was well received and the network ordered more episodes to debut in January, 1973. But the ratings for that show weren’t up to expectations, and Bobby was not well. Heart patients are supposed to take antibiotics before visiting the dentist, even for something as simple as a teeth-cleaning. Bobby knew that, but for some reason, he skipped the medication around this time, and as a result, developed an infection in his blood. It would be months before doctors figured out what the problem was, but by then it was too late. Bobby taped the last show of his series in April, 1972. He dispensed with the usual format and just did his nightclub act. Seventy minutes of singing, dancing, impressions, jokes and snappy patter with the band and a rip-roaring Splish Splash for a finale that won a standing ovation from the studio audience for this man who would be dead eight months later. When the series ended, Darin did play Las Vegas again, married for a second time and divorced, as his health continued to decline. He was admitted to the hospital in December, 1973. An operation revealed that his heart was badly infected. Doctors repaired what they could of the damage, but Bobby was too weak to recover. He died on December 20th. His body was donated to medical science, as he had requested. 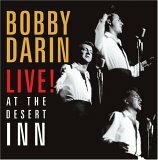 The best place to learn more about Bobby Darin is on the official website, BobbyDarin.net. It’s been around for a long time, thanks to Linda, the original creator, and “Bobby’s Girls”, the women who now help her run that site, and it just keeps getting better! They have assembled a massive collection of photos, articles from fan magazines, interviews with those who knew and loved Bobby and Sandy. They’re advised by long-time Darin friend and publicist, Harriet “Hesh” Wasser, Darin Archivist, Jimmy Scalia, and have contact with Bobby’s former manager, Steve Blauner and his and Sandy’s son, Dodd. 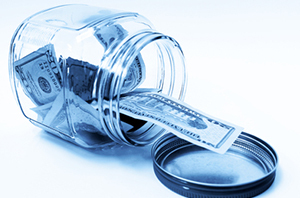 When you go to the site, click on the Visit the Site Index link to get to the main section. The first full-fledged biography to appear was Borrowed Time by the late Al DiOrio, published in 1981, now reissued as Bobby Darin: The Incredible Story of an Amazing Life. DiOrio got close to Bobby’s family, and it was in that book that Nina went public with the details of Bobby’s birth. Dodd’s memoir, Dream Lovers: The Magnificent Shattered Lives of Bobby Darin and Sandra Dee was published in 1994 and had been hard to find. Copies were going for hundreds of dollars on eBay at one point, but now it appears that new copies of both the paperback and hard-cover versions are available at bookstores. David Evanier’s Roman Candle was written with the help of Hesh Wasser and is considered to be well-researched. Michael Seth Starr’s Bobby Darin: A Life, also issued to coincide with the movie, is a relatively easy read but suffers from too many mistakes-both typos and factual errors. The Al Aronowitz book, Bobby Darin Was a Friend of Mine is a collection of columns written by the man who calls himself “The Blacklisted Journalist”. while covering Bobby’s career. Aronowitz includes more contemporary memories as well, and conversations with Steve Blauner. Aronowitz says he is the author Bobby wanted to write his biography, but Darin died before that could happen. The book Me and Bobby D.:A Memoir. is just that, written by Steve Karmen, one of Bobby’s bandmates from Bronx Science. It’s a look at Bobby thru Karmen’s eyes and offers a view of what his early days in show business were like from one who was on hand to observe it. The book that focuses most on Darin’s amazing career, is Jeff Bleiel’s compilation of facts, titled That’s All!. He has published an expanded second edition, with details contributed by those who worked closely with Bobby, including record producer Nik Venet, Ahmet Ertegun, guitarist/singer Roger McGuinn, and pianist/arranger Bobby Scott. 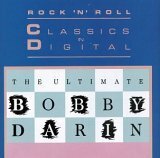 Many of Bobby’s recordings have been re-issued now on CD and the list of ones worth having in your collection,is lengthy.. much too long to go into detail here. 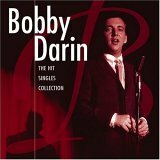 The most comprehensive collection, featuring work from all of the, for lack of a better word, phases, of his career, is As Long as I’m Singing: The Bobby Darin Collection. If you are new to Darin, or know him only as a rock star or only as a saloon singer, this may be the best introduction to his many facets. The CD’s and DVD’s that will give you a better feel for him as entertainer are Aces, Back to Back (which includes a bonus DVD), and the DVD of his final TV show, Mack is Back!. You may find yourself wearing out this disc! Many fans also love the “Live!” CD’s like Live, at the Copa (which was said to be a favorite of Lucille Ball). You may find that you prefer the studio albums like Oh, Look at Me Now, Swingin’ the Standards or the one with the jazziest feel to it, Winners.